Using a BBC Two logo that hasn't been in use since 2001 there. (And it still looks great. Apart from the odd 'C'). In the vague recesses of my mind, I recall one of the original BBC style guides berating the use of too many logos on one page. I’ve seen a few posts now like this and when it’s directed from a sub-brand like BBC Politics (as opposed to the Channel) is does tend to look messy, to be polite. The guideline I remember seeing was that the logo should not appear in a block of text, rather you should refer to the channel as BBC Two. Oh I’m not saying that post is a good piece of design. I just thought that 1997 logo still looks pretty good. 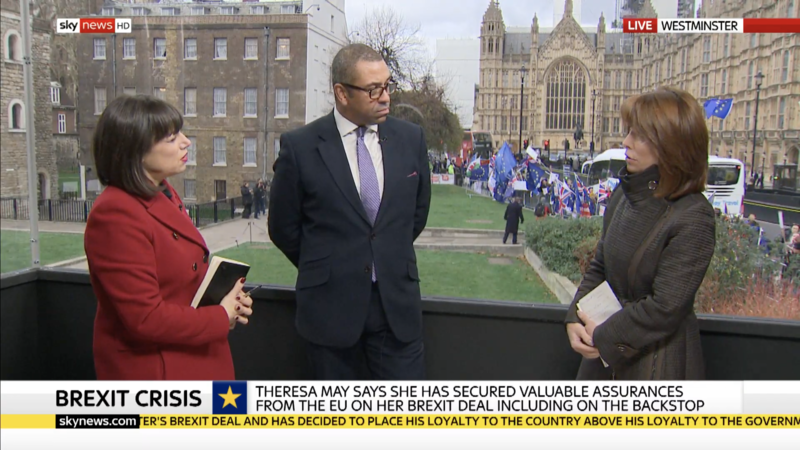 It appears Sky have erected some glass panels around the edge of their platform outside Parliament. 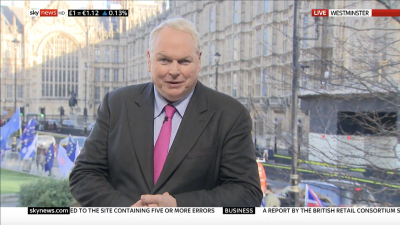 You can't really tell from a still image, but a reflection of the back of Adam Boulton's head is quite visible. The glass/perspex has helped the sound a fair bit. 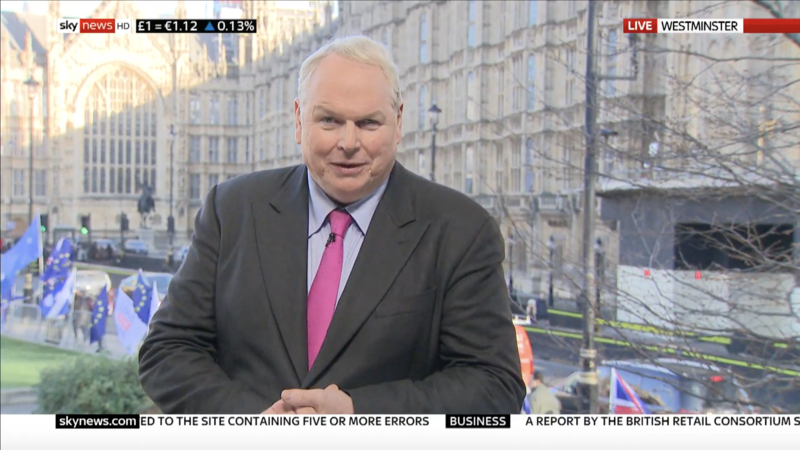 Adam Boulton's head is quite visible. Shame. Still can't have everything, I suppose..
ITV are going to extended the News At Ten to until 10:45pm for tomorrow. Yes. Just a shame that Boulton was that side of it.